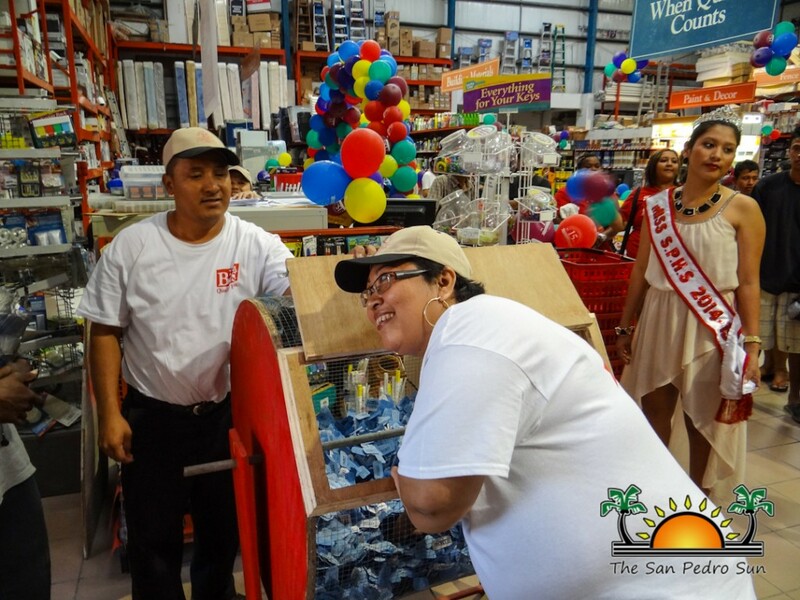 The big quinceaños (fifteen-year) celebration saw Castillo’s once again showcasing generosity via their grand 15th anniversary raffle. 15 prizes of $1,000 each were up for grabs, and there were many spectators eager to hear their name called! With the help of Miss San Pedro High Sheila Chi, names were drawn out while Reef Radio’s DJ Polo called out the lucky winners’ names. First to be drawn was Enrique De Leon - Ticket #257416, followed by Lisbeth Perez – Ticket #876606, Shainy Oliva –Ticket # 970889, Gil Cardona - Ticket #971788, Orlando Aron - Ticket #254459, Hugo - Ticket #252810, Claudia - Ticket #941492, A.Garcia - Ticket #828429, Gil Nunez - Ticket #252239, Ismael Sosa - Ticket #934845, Monica Chable - Ticket #970300, Ottonel Bustamente - Ticket #827080, Rosa Carrias - Ticket #874627, Tradewinds Ltd. - Ticket #974253, and Wayne McCrae - Ticket #446804. 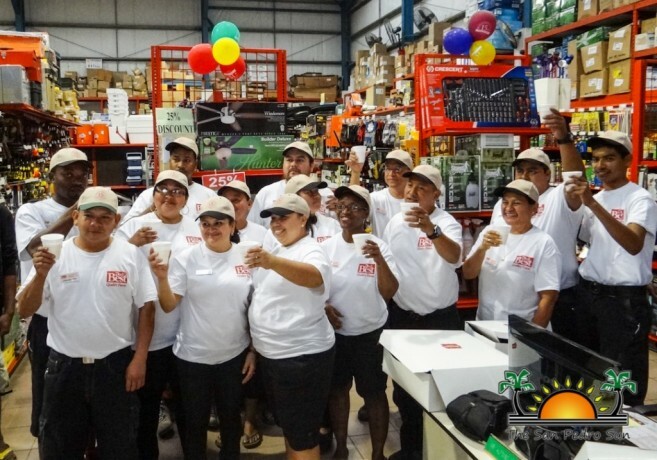 With the drawing out of the way, the staff and management took the time to toast many more years ahead for Castillo’s Hardware. Congratulations Mr. and Mrs. Castillo, and to the awesome staff: Miriam, Ricky, Dativa, Raul, Yancy, Benigno, Jervis, Jeremiah, Anthony, Karla, Israel, Rosa and Venancia – keep up the hard work! We sure appreciate it!